Real estate is one of the best assets your clients have. Make sure that they can last for generations with the help of Clark Hunt Construction, Inc in Clearwater, FL. Take advantage of our cost-efficient site construction services, and let us help prepare your site for the construction. 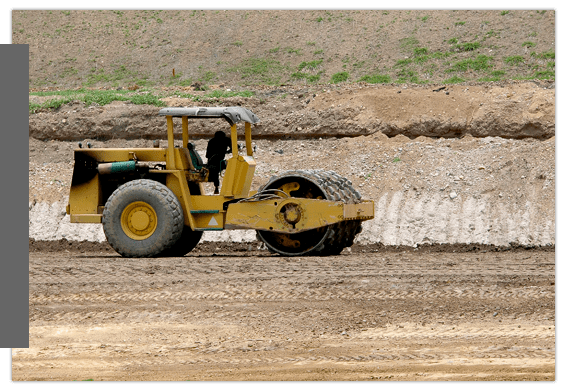 For site preparation work, you can count on our construction company to effectively address your concerns. Work with the best! Clark Hunt Construction, Inc. is a family-owned company offering more than 50 years of experience and tradition in site construction and preparation. With more than 30 years of experience as a general contractor, and working closely on hundreds of projects with other contractors and developers, we’ve gained a complete understanding of what it takes to deliver successful projects time after time. Our critical path engineering ensures projects are completed precisely to specifications, on time, and within budget. Even when a project is still on the drawing board, we’re able to anticipate the most challenging requirements of commercial developers. We can often recognize and address site issues before they have a chance of becoming problems. CHC is the absolute leader in regional site preparation for some of America’s largest and well-known retail corporations. George Hunt founded our original construction company almost 50 years ago. His son Warren C. Hunt has been in the construction industry since 1962, when he began his career with his father’s general construction company – George Hunt Inc. Warren worked directly with Publix Super Markets in developing shopping centers throughout Florida. He was also the general contractor for hundreds of other Florida projects, some of which are Countryside Mall, Old Hyde Park Village, Island in the Sun, Northwood Plaza, and East Lake Woodlands Condominiums. With the retirement of his father George Hunt in 1981, the building division was phased out, and Warren C. Hunt purchased the underground utility division, becoming a Certified General Contractor in the State of Florida. We specialize in complete site development. Our company is committed to providing you with remarkable site construction solutions. Your satisfaction is our top priority. Not only do we make sure that your property is prepared properly, but we also strive to exceed your expectations. Give us a call to schedule an appointment.